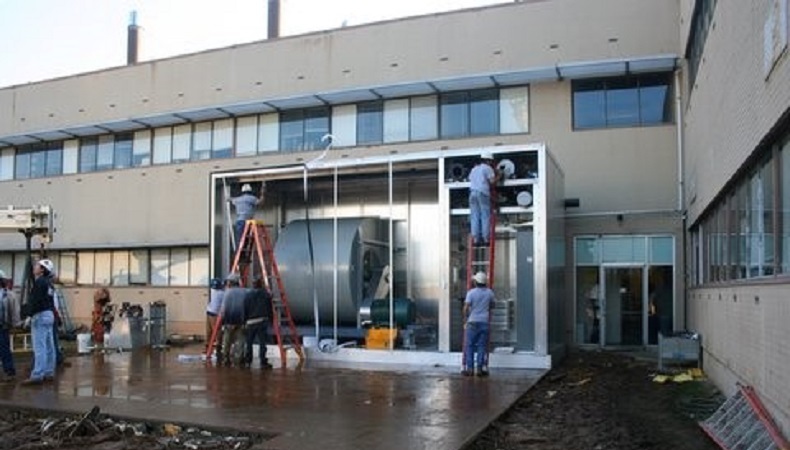 EAS was contracted to provide the complete demolition of an existing nominal 78,000 CFM AHU and for the design, fabrication, and installation of a custom 75,000 CFM AHU. Although the existing AHU was not that old, the galvanized construction and other features that were originally specified for this AHU had ultimate evolved to a badly corroded state. 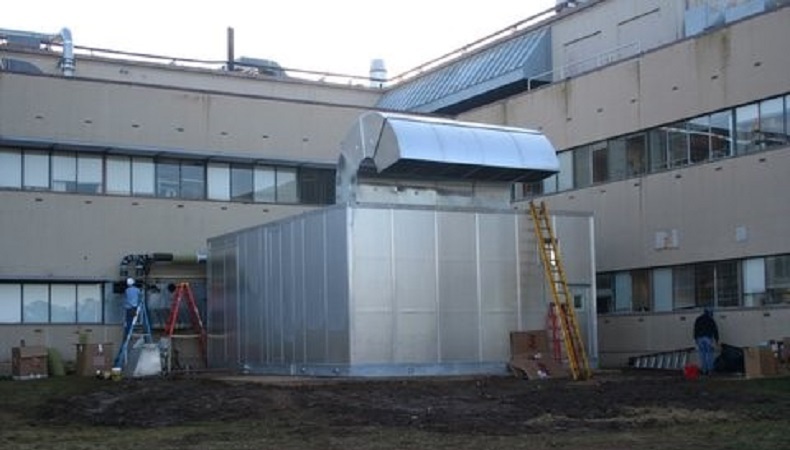 From the P&ID’s provided by the owner’s consulting engineer, and a performance criteria specification, EAS provided the detailed design, off-site construction, and installation of the entirely new AHU system. 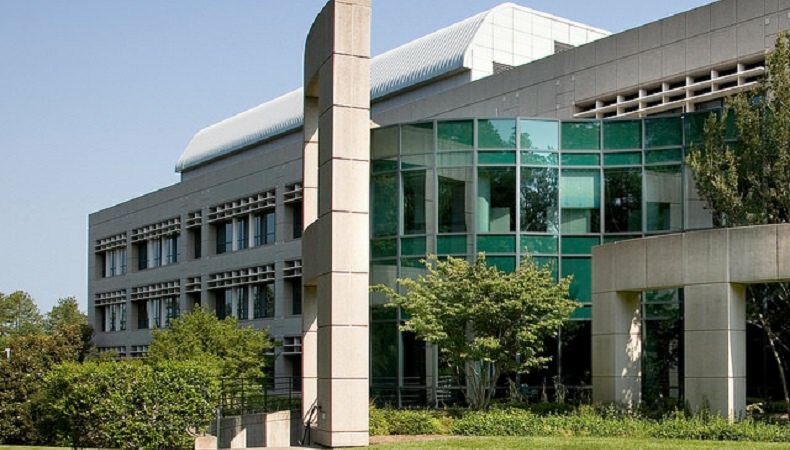 The job included the utility piping, concrete work, electrical power wiring, ductwork, startup, testing, BMS controls and interface with the existing Johnson Metasys system. 2. System shutdown began on a Friday night with system startup taking place on Sunday afternoon. 3. The AHU was fully integrated with piping, electrical and controls in a full length service corridor which were installed in the EAS plant prior to shipment of the sections. 4. 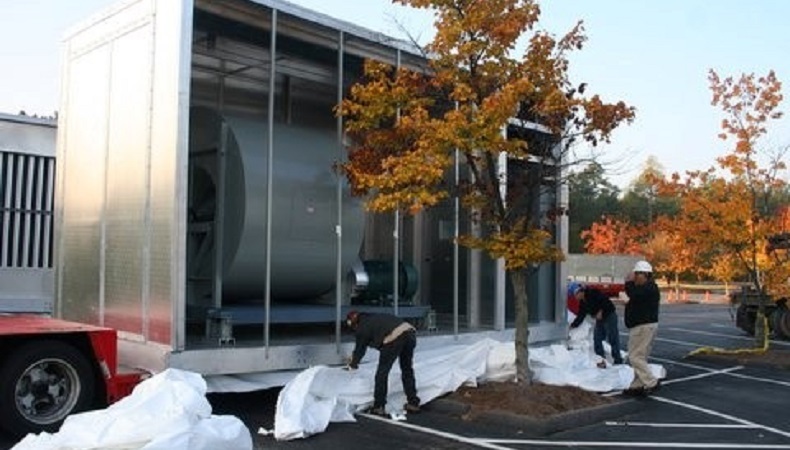 Variable Frequency Drives, BMS controls panel and control devices were all pre-installed, pre-wired and pre-tested in the EAS plan prior to shipment.